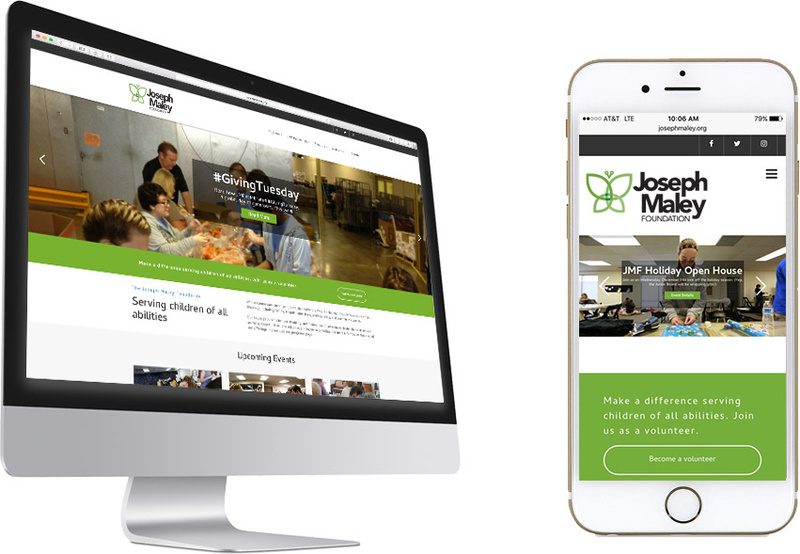 The Joseph Maley Foundation's website needed a refresh, after it's initial website had been live since we first built their brand nearly a decade ago. INNOVATIVE collaborated with JMF to develop new website goals and ultimately decided that moving the foundation onto the WordPress platform made the most sense for them. First, INNOVATIVE led a needs and wants analysis with the JMF staff, and quickly found a WordPress theme that would help bring their brand to life in new ways. After that, we jumped right into design work while JMF refreshed all of their website content. From initial conversations to the launch of the website, the project process took less than six weeks. The INNOVATIVE and JMF partnership goes back before the foundation existed and continues to this day in many capacities. INNOVATIVE acts as the foundation's agency of record. We have had employees on the board and executive committee, and still have a board member to this day. The Joseph Maley Foundation is a non-profit organization that serves children of all abilities. That is a mission we are extremely proud to be a part of.